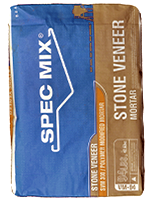 SPEC MIX® SVM 300 is a dry, factory blended polymer modified mortar specifically designed for adhered masonry veneer, and provides high bond strength, sag resistance, and durability. This product is produced under strict quality control standards. It is available in several packaging options to provide savings in handling and mixing. Uses: SPEC MIX SVM 300 is used in the application of adhered masonry veneer or wherever a high bond shear strength mortar is required. 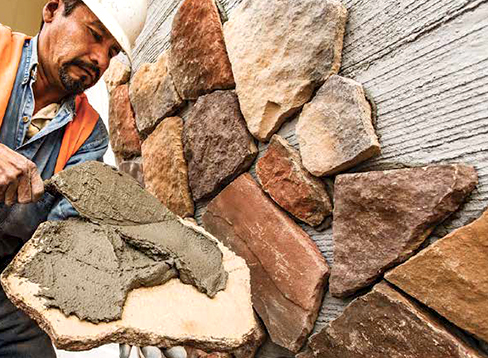 Excellent performer for dry-stack applications where mortar joints are not utilized.